For many, cheese is a best-loved food. However, and while for some, the love of cheese does not go beyond the grilled cheese sandwich or as a condiment in cooking, for many others, cheese is an ingredient with its own legacy, stories and is an experience on its own – in a way, similar to that of wine! 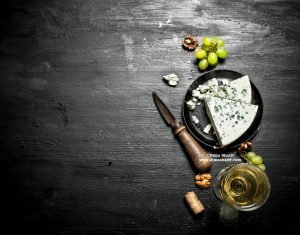 No wonder cheese and wine have forever been paired together and have been treated by the gourmands as experiences that awaken all your senses. In this post, I wish to explore the marvelous experience of the cheeseboard. I am hoping to inspire you to go for new cheeses, and to look beyond the surface when savouring this remarkable produce. I want to encourage you to really taste cheese, and try to figure out the different notes, aromas and flavours that each one offers. Remember, cheese is an experience, not an ingredient to only fill hungry stomachs! 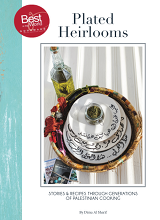 Ultimately – and staying true to my current focus: ‘Quick & Easy Recipes for fuss-free home entertaining – I am hoping you will be inspired to bring out that cheeseboard more often when entertaining at home. My friends know that when lounging at my house, the cheeseboard is a must and they all enjoy it thoroughly 🙂 so will yours. In the 19th century, cheese was considered to have a “masculine taste”, if such a thing exists! It was therefore, usually served at smoke-rooms to the gentlemen who entertained, while the ladies mingled in another room. It was usually paired with brandy and liqueurs, the gentlemen’s preferred drinks at the time. It was not necessarily served at the beginning, middle or end of a meal, it was rather always on offer for those visiting the smoke-room. Cheese has gone a long way since then, both in types, potential eaters as well as course of service. 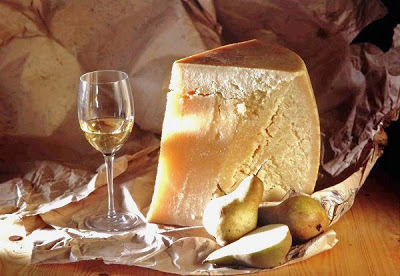 While in France, cheese is usually served pre-dessert as a way to consume any leftover wines from the meal. In the US & UK, it is usually served after the meal is done as an extension for those who wish to stay, and nibble on some cheese as they drink. Today, cheese is viewed as an extension to a meal, and even frequently served without the tie up with meal courses. 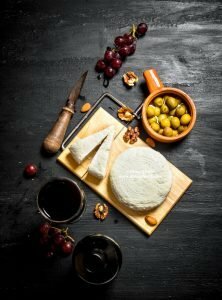 Besides its role in cookery, cheese is now a star offering in many lounges, wine bars, restaurants and even in home entertaining. variety of cheeses through your take on the cheeseboard, and will look forward to the pairings you suggest. However, when it comes to the cheeseboard, some find it to be tricky business! There is an array of cheeses to choose from, and most people are clueless as to which cheese, what wine, what condiments, and even what board! A host should, if must, cut only a few pieces of the cheese and place them by the bigger block/wedge of the same cheese, leaving the rest of the block/wedge uncut and up to guests to cut themselves. 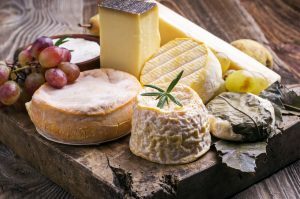 For those who savour the experience of cheese, they usually like to cut it themselves to examine the veining, texture or even colouration of that cheese. Cheese must never be picked with a fork, therefore a two-pronged blade knife must be placed by the cheese for cutting and picking into diners’ plates. The idea behind having a selection of cheese is to savour different types of cheese and observe the differences in experience. It would defeat that purpose if the flavours of various cheese are mixed together through the use of the same knife. Therefore, in formal affairs, a cheeseboard must have a separate knife for each cheese type. Guests are never to pick up, feel or hold cheese blocks/wedges by hand as they cut the cheese. Therefore for hard textured cheeses, a small napkin is usually placed by the cheeseboard for guests who find it difficult to slice through. This napkin will then be used to hold on to the cheese as they cut. With that said, I do, however, sometimes celebrate one type of cheese! Especially if I had purchased a special artisanal cheese block and want to share it with my friends. In this case you really want to have a large block of cheese, because the worst thing would be for guests to get into the flavour but then the cheese runs out! You also want to make sure that the cheese type is most likely to be liked by your guests. We all know that not everyone is into blue cheese, in which case you are better off serving a variety to please everyone. In general, an interesting cheeseboard offers a mix of Hard vs Soft cheese, Fresh vs Aged cheese, and Domestic vs Imported cheese. It is also very interesting to offer a mix of cheese sources: cows’, sheep’s, goats’ and blue cheese. 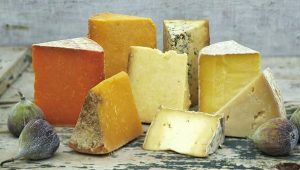 There is also the smoked cheese varieties to consider, which are another dimension of flavour altogether. You can also try my Nabulsi cheese for a very interesting option on your cheese board. It is made using a mixture of both ewe’s and goat’s milk, absolutely marvellous! Contrary to common belief, cheese is best when served at room temperature. Remember, despite being a dairy product, cheese is a preservation of milk, therefore is less sensitive to room temperature. With that said, it is not a suggestion to leave cheese out of the fridge overnight, however, it is to let you know that it should stand at room temperature for at least one hour before serving. This is because the fats in cheese soften at room temperature, releasing its full flavours and making it easier to cut through and bite into. This makes for a better experience. Condiments must always enhance or bring out the natural flavours of cheese, and must never mask them. However, condiments are what wins your guests over. They will enjoy exploring the pairing suggestions, and discovering how the cheese flavour develops with each condiment. Condiments also make the cheeseboard more interesting than just piling cheese on a plate! 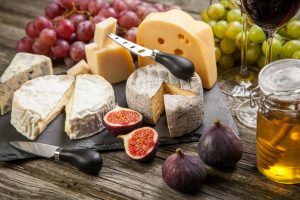 Like with wine, a soft flavoured cheese must be paired with soft flavoured condiments, and for sharper accompaniments you should go for sharper cheeses..You must always think of the eating experience, the flavours and the textures. Like for instance, soft textured cheeses, pair very well with the crunchiness of toasted, fried, or dried bases. Fruits are the best known accompaniments to cheese boards. Most commonly used are grapes, pears, apples… But even here you can add another layer for a more interesting experience, like wine poached pears with Camembert for instance. Fruit Jellies and preserves are another way to use fruits as condiments to cheese. My utmost favourite is Orange Marmalade and sharp Aged Cheddar Cheese. Nuts (raw or toasted) are a fabulous accompaniment to cheese. Walnuts, pecans, almonds and even pine nuts and pistachios can do wonders with soft cheeses, and some hard cheeses. Vinegars can bring out the flavour of some cheeses, like balsamic vinegar & burrata for instance, or aged balsamic and goats’ cheese. Honey, is a fabulous pairing with sharp hard cheeses, and is frequently used to flavour cream cheeses. Tapenades, sundried tomatoes and pestos are all good accompaniments to cooked soft cheeses. Try my Shattas (chili sauces) they are glorious with cheese. And so is my pickled zaatar, seriously good! Herbs and Leaves are also very common to serve with cheeses, like chives, rosemary, basil, thyme…etc. Keep in mind the strength of the flavours against the cheese and the overall experience. For a change try sprinkling my Sumac over cheeses, or even my dried zaatar. I like to place these in heaps over a cheese board and my friends will just dip their cheeses in them … really try and see for yourself, you will not be able to stop! Breads, crackers, crisps, crepes, sticks…etc are all fabulous contrasts of textures and flavours by the cheeseboard. These also offer a base for your guests to create their flavour combinations and textures. These are also more filling than cheese on its own. While my preferred option is serving cheese as is, for variation, I would sometimes go for fried cheese, cheese balls, herbed rolled cheeses, cheese-stuffed olives, olive oil preserved, herb crusted, and even grilled/baked cheese. You can make an assortment of prepared cheeses, and place them in a different platter next to the cheeseboard for an all round cheese experience. Hope you have enjoyed this post that covers all things ‘Cheeseboard Experience’. And I hope that I was able to inspire you to go out there and become more adventurous when it comes to cheese. Cheese is fascinating experience when had right and when you are open to its flavours, textures, aromas and overall palatability. 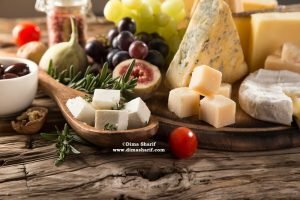 It is an experience of enjoyment, of indulgence of the senses, cheese is way more than those grilled cheese sandwiches, Mozzarella over pizza or the Parmesan over spaghetti! Excellently detailed post on serving cheese Dima. Your catering experience is on full display!